Fish oil has become a supplement of choice for many health-conscious individuals due to its numerous health benefits. Many of the benefits of fish oil have been attributed to the omega-3 fatty acids that it contains: eicosapentaenoic acid (EPA) and docosahexaenoic acid (DHA). 1280 mg of omega-3 fatty acids‚ purified from anchovies and sardines. Added lemon flavor‚ which eliminates any fishy smell or aftertaste. Consumption of high levels of omega-3 fatty acids has been associated with cardiovascular health; one study found that intake may increase arterial elasticity by 36 percent. Omega-3 fatty acids contain signaling molecules called eicosanoids‚ which affect the production of most of your body’s hormones; as a result‚ their effect can be widespread. Eicosanoids discourage platelets from aggregating in your blood‚ which can reduce your risk of blood clots. They also can inhibit cell turnover. Eicosanoids can improve immune system function‚ and have anti-inflammatory benefits that may help sufferers of arthritis. Other benefits of omega-3s include promoting the health of connective tissue and joints‚ as well as reducing the pain associated with menstrual cramps. 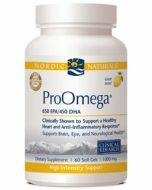 Taking omega-3 supplements during pregnancy may protect against pregnancy-related conditions like preeclampsia‚ and may have the added benefit of increasing your child’s IQ. 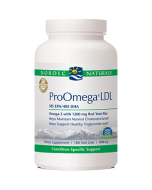 The American Heart Association recommends 2-4 grams EPA and DHA per day for people with elevated triglycerides. 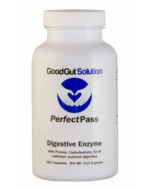 Two soft gels daily‚ with food‚ or as directed by your health care professional or pharmacist. 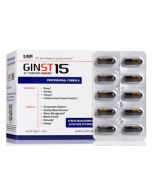 For intense support‚ take two soft gels with food twice daily. 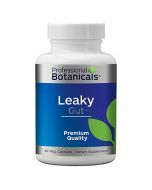 Ingredients: Purified deep sea fish oil (from anchovies and sardines)‚ soft gel capsule (gelatin‚ water‚ glycerin‚ natural lemon flavor)‚ natural lemon flavor‚ d-alpha tocopherol‚ rosemary extract (a natural preservative).